As part of its 2018 Fall Puppet Performance Series, the Ballard Institute and Museum of Puppetry at the University of Connecticut is pleased to present The Fairy Circus by Massachusetts’ famed Tanglewood Marionettes on Sept. 29, 2018 at 11 a.m. and 2 p.m. in the Ballard Institute Theater, located at 1 Royce Circle in Downtown Storrs. Tanglewood Marionettes’ presentation of The Fairy Circus begins with a brief demonstration of the art of puppetry. Through humorous interplay, the audience will learn about various forms of puppets, from simple glove puppets to sophisticated marionettes. Then it’s on with the show! Featuring over twenty beautifully handcrafted marionettes, The Fairy Circus is a showcase for turn-of-the-century- style trick puppetry. The puppets will dance, play instruments, juggle, contort, transform, and fly through the air with the greatest of ease, all to the best-loved music of favorite composers! This show is 45 minutes long and recommended for ages 4+. 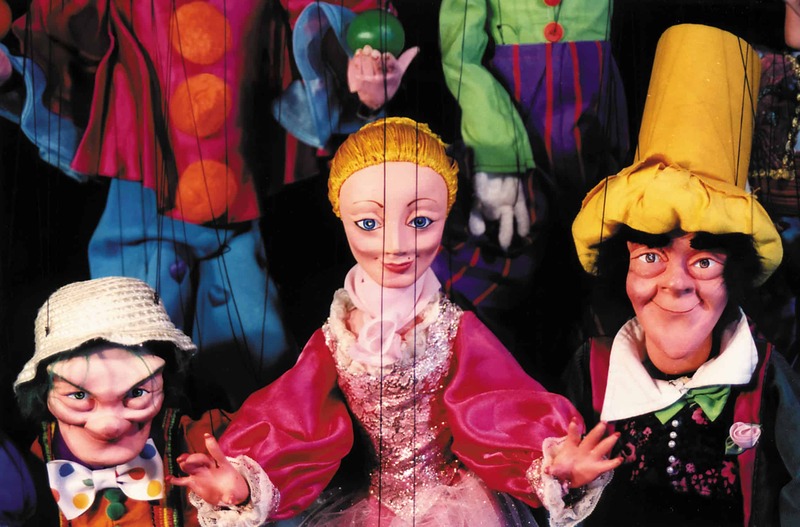 Founded in 1993 by Anne Ware and Peter Schaefer, Tanglewood Marionettes is a nationally touring marionette theater based in New England. Their repertoire consists primarily of classic tales performed by skilled puppeteers who have spent many years perfecting their art. The company’s large, beautifully handcrafted marionettes, colorful sets, and integrated lighting and sound create a fully immersive theatrical experience. Tanglewood Marionettes has received two Citations for Excellence in the Art of Puppetry from UNIMA-USA (the American center of the Union International de la Marionette).